In mediation, trial experience matters. From personal injury to business litigation, we’re well-versed in the potential risks and rewards of going to trial. Mediators Jerome L. Withered and Stephen E. Arthur have years of involvement and expertise on their side. 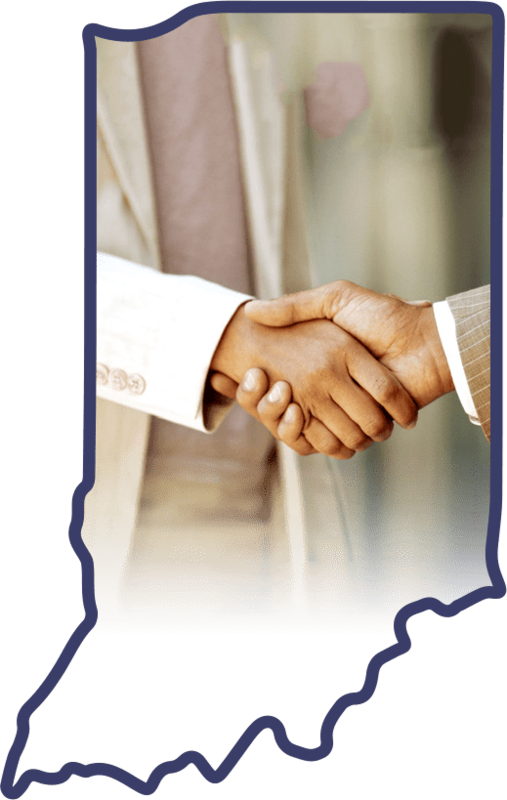 Mediation Indiana, LLC – Why Choose Us? Because trial experience does matter in mediation. Decades of experience in litigation and trials teaches mediators the risks and potential rewards of going to trial, the pitfalls and opportunities, and how to deal with tough cases. You want a mediator who understands difficult clients and difficult cases. Jerry Withered and Stephen Arthur each have over 35 years of experience litigating cases and trying jury and bench trials in a wide variety of matters. They’ve walked in lawyers’ shoes, have dealt with clients – difficult or otherwise—and they understand what makes a mediation successful. Jerry is a Senior Partner at Withered Burns, LLP in Lafayette where he has practiced since 1980. He has litigated hundreds of cases, including jury and bench trials in personal injury, business litigation, employment law, medical malpractice, eminent domain, contract and real estate disputes, construction law, probate litigation and will contests, insurance coverage litigation, and other areas. He is a Board-Certified Civil Trial Advocate (National Board of Trial Advocacy), a member of the American Board of Trial Advocates, a Fellow of Litigation Counsel of America, and is an Indiana Super Lawyer. He has been a Registered Indiana Civil Mediator for over 10 years. Stephen is a partner at Harrison & Moberly, LLP in Indianapolis. Steve has litigated many bench and jury trials in business and tort matters, real estate and construction, patent infringement, class actions, employment law, probate and trust disputes, and complex commercial matters such as securities fraud and antitrust actions. He is a member of the American Board of Trial Advocates, a Fellow of Litigation Counsel of America, a Board – Certified Civil Trial Advocate (National Board of Trial Advocacy), and Indiana Super Lawyer, listed in Best Lawyers in America, and author of numerous books on Civil Trial Practice and Procedure. He is a Registered Indiana Civil Mediator.